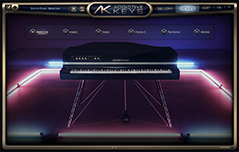 The Addictive Keys virtual instrument from XLN Audio is included for free with all Focusrite Scarlett, Clarett, Red and Saffire audio interfaces, and is available for existing customers as well as new customers. 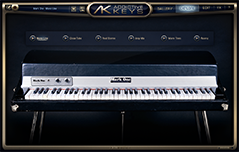 One full license per account enables you to choose one world-class Addictive Keys instrument, such as Modern Upright, Studio Grand, Electric Grand or Mark One. To take advantage of this piano plug-in, simply register an audio interface. Follow the instructions at the top of your account page to enable you to access this great virtual instrument from your home recording studio set-up. Don't own a Focusrite interface? 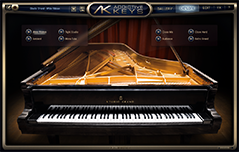 Addictive Keys is a powerful tool for musicians, producers and songwriters. With its unique approach to sound creation, smart workflow, fast loading times and high-quality presets, Addictive Keys is perfect for any production style or music genre. Addictive Keys supports all of the major plug-in formats: VST, AU plug-ins and AAX (32 and 64-bit), so it can be used within most music applications including Pro Tools, SONAR, Cubase, Logic, Live and many others. 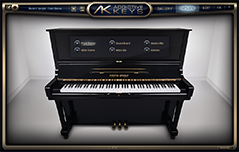 Addictive Keys can also work as a standalone instrument, without requiring host music software. This makes it easy to load an instrument, find an inspiring preset, and start playing, without having to launch any other music software. XLN Audio is a Swedish software company that makes award-winning virtual instruments, plug-ins and sound content for music makers. Since its inception in 2005, the company has gained worldwide acclaim by focusing on making products that are inspiring, powerful and easy to use. Their most popular products include the Addictive Drums and Addictive Keys virtual instruments, both of which have become go-to products for today's biggest producers and performing artists.